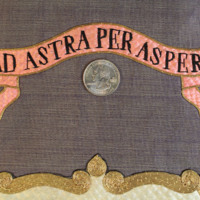 Kansas State Seal embroidered separately on dark blue backing fabric, cut out and sewn on embroidered American flags with "Kansas" and "Ad Astra Per Aspera" banners, on blue background fabric. 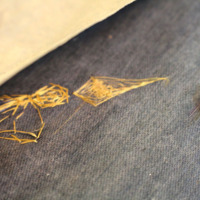 Backed with tissue paper, with some stitching and knots coming through the paper. 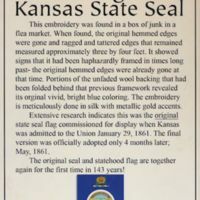 Printed description written by Rod Cook. 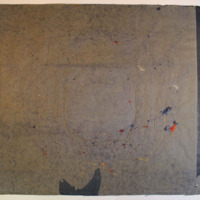 Size 22 inches wide x 20 inches high. 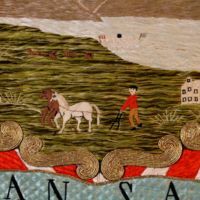 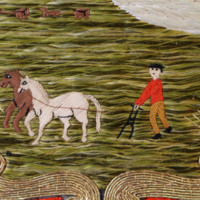 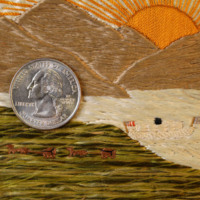 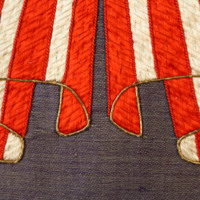 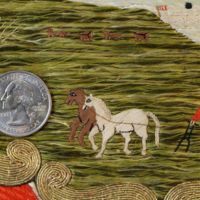 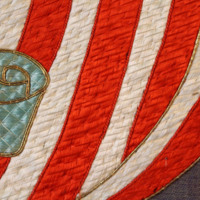 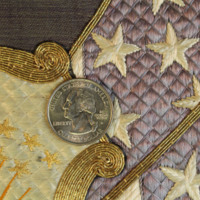 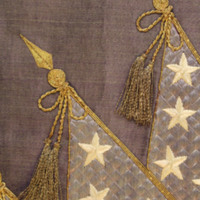 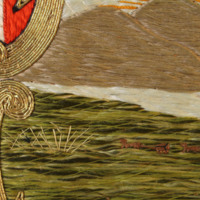 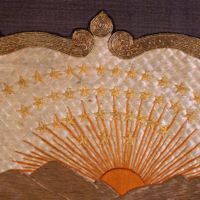 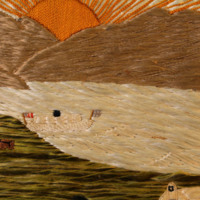 Some of the closeup images include a quarter to indicate the small scale and fineness of the needlework. 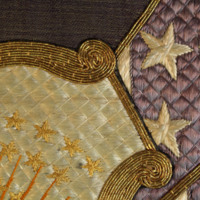 Photographs reproduced with permission from the copyright owner. 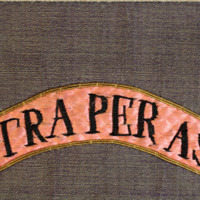 Further reproduction prohibited without permission. 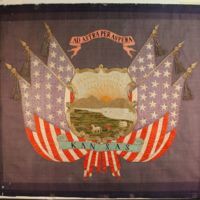 “Kansas State Seal,” Digital Caldwell, accessed April 26, 2019, https://caldwell.digitalsckls.info/item/439.